For the price of the Iraq War, we could've bought each professional astronomer their own Space Shuttle. The Bureau of Labor Statistics calculates the total number of professional astronomers in the United States at 1520. 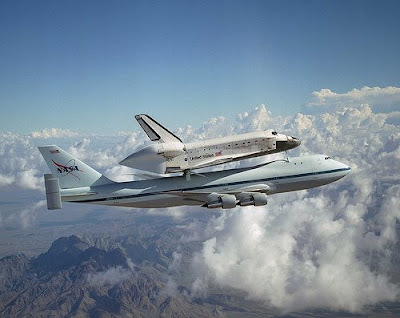 According to NASA, the Space Shuttle Endeavour cost $1.7 billion to build. Giving each astronomer their own Space Shuttle would cost $2.58 trillion, which is less than Joseph Stiglitz and Linda Bilmes' estimate of $3 trillion for the cost of the Iraq War. Image released to the public by Lori Losey/NASA.